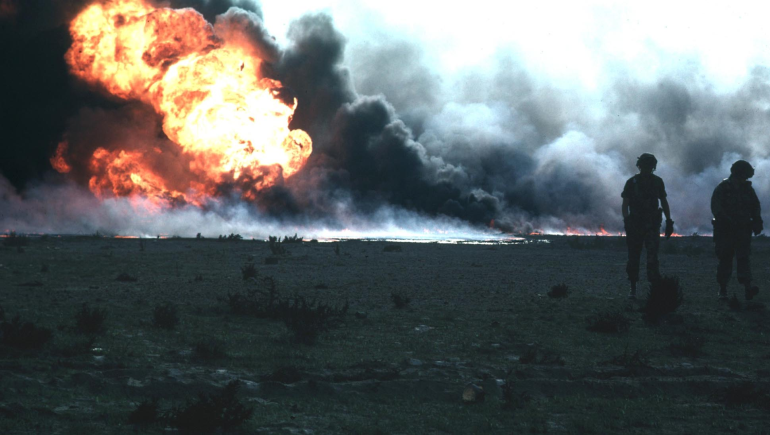 At the end of the First Gulf War, in 1991, the retreating Iraqi forces set nearly 732 Kuwaiti oil wells aflame, as part of a scorched earth military tactic intended to obliterate anything that might prove to be useful for the enemy. 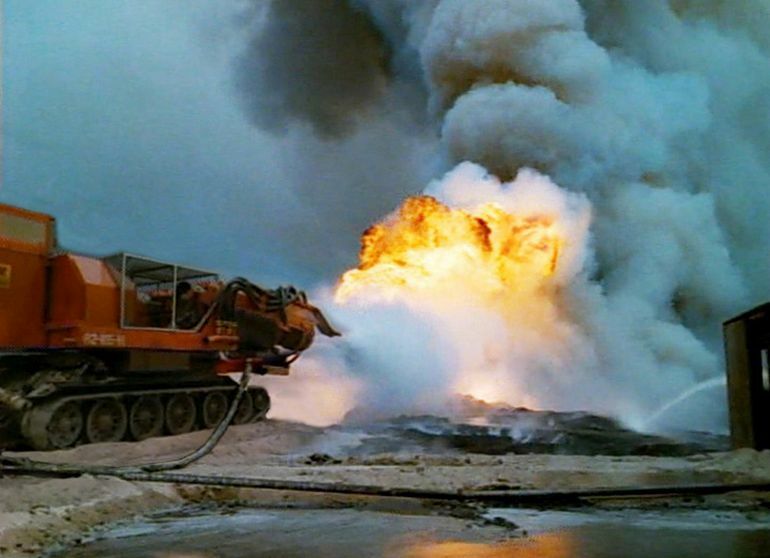 Despite appointing four separate companies for the cleanup task, it took 10 long months for the Kuwaiti government to douse the last of the well fires. To put out the more fierce flames, a special type of machine, called the ‘Big Wind” was used. Developed by a group of skilled Hungarian engineers, this badass extinguisher features a pair of MiG-21 fighter engines, mounted on an equally-powerful T-34 tank. Originally designed for decontaminating tanks and other military equipment, after a chemical, biological, radiological and nuclear (i.e. CBRN) attack, the Big Wind was one of the most efficient fire-fighting apparatus adopted during the Kuwaiti oil fires. According to one report, it helped dout as many as 9 well fires in 43 days. 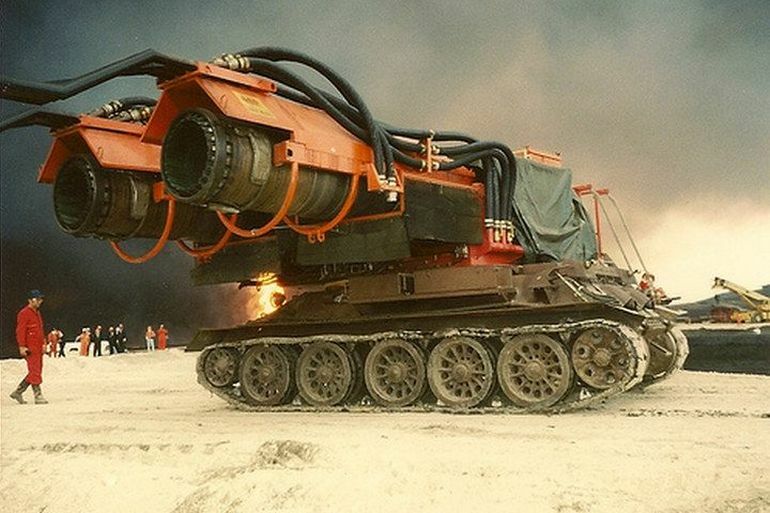 The design was inspired from a similar concept, which involved the use of an MiG-15 engine, secured onto a truck, to put out stubborn oil and gas well fires during the Soviet era. 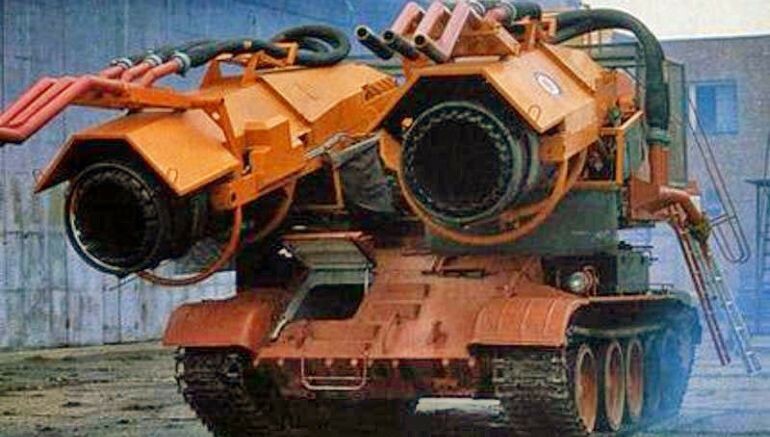 To build this powerful contraption, the engineers replaced the gun turrets, on a T-34, with the turbines from an MiG-21 supersonic fighter aircraft. Large amounts of water are fed into the machine, and then ejected at very high velocity by the engines’ turbines. The following video, taken from the 1992 “Fires of Kuwait” documentary, shows the colossal Big Wind fire extinguisher in action.